One of the most magnificent places to snorkel in Hawaii is Maui and you can only get there by boat. The Malolo, our 55 foot power catamaran, is a super comfortable ride that has everything you’ll need. Even if our Malolo afternoon snorkel is your first experience with this fun ocean activity, you’ll have a great time. All equipment and instructions are provided by the fabulous crew, and there is a $20.00 hot dog and soda lunch served onboard, too! Molokini Crater is a marine protected area, so the fish are free to roam, and you are free to watch them do so. The animals there are just beautiful, and you can happily lose yourself while floating above the reef. You are likely to see parrotfish, yellow tang, cornetfish, and surgeonfish, as well as many others. Lucky visitors will catch a glimpse of a spotted eagle ray cruising through, and don’t forget to look up—Molokini Crater is a bird preserve, too! Digital underwater cameras are available for purchase. If you wear prescription glasses, there are optical masks you can rent to use underwater. If you tend to run cold, there are wetsuits for rent, and they bring flotation devices galore. The Malolo afternoon snorkel cruise has got you covered! 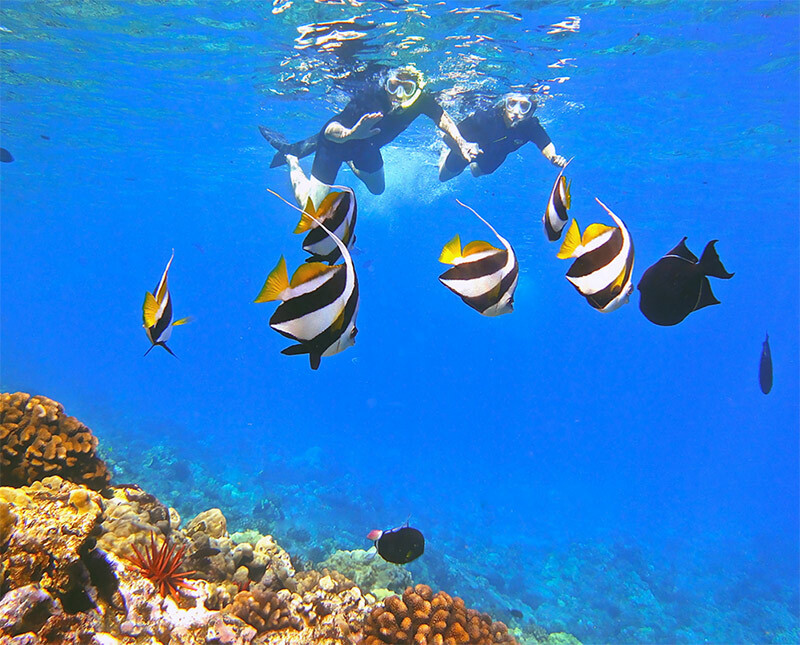 As each day unfolds on Maui, weather and ocean conditions naturally dictate the best snorkel spots. The experienced captain will decide whether you go to beautiful Molokini Crater or the aptly named “Coral Gardens,” a gorgeous reef off the west side. 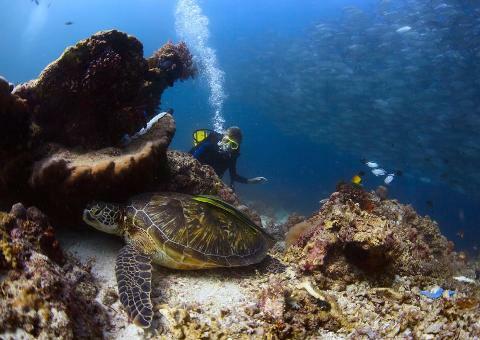 Coral Gardens is home to all kinds of wonderful marine life, too! This tour leaves from Maalaea Harbor in the afternoon. (That means you get to sleep in!) Check-in is at 12:30 pm, and you return at 4 pm—enough time to make your dinner reservations.